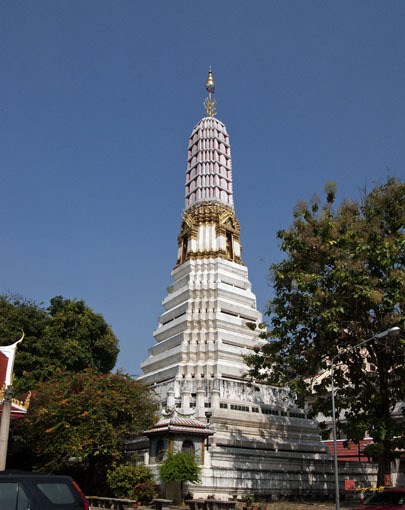 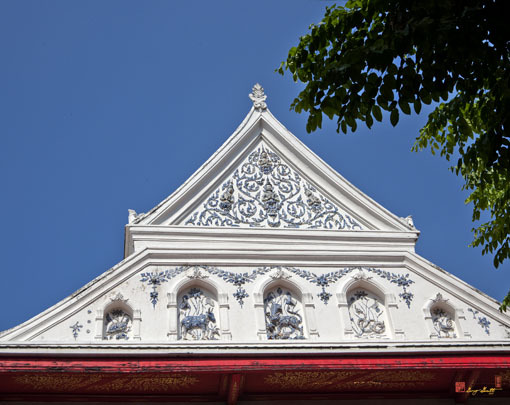 Wat Chakkrawat Ratchawat Woramahawihan, วัดจักรวรรดิราชาวาสวรมหาวิหาร, (also spelled Wat Chakkawat Ratcha Wat Woramahawihan) is an old temple that was originally called Wat Sam Pluem. 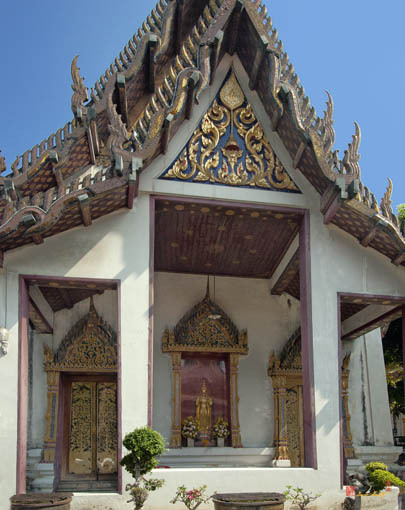 In the reign of King Rama III, Chao Phraya Borodindecha (Sing Singhasen) renovated the entire temple and had a canal dug to convey water from the Chao Phraya River to the temple's pond. 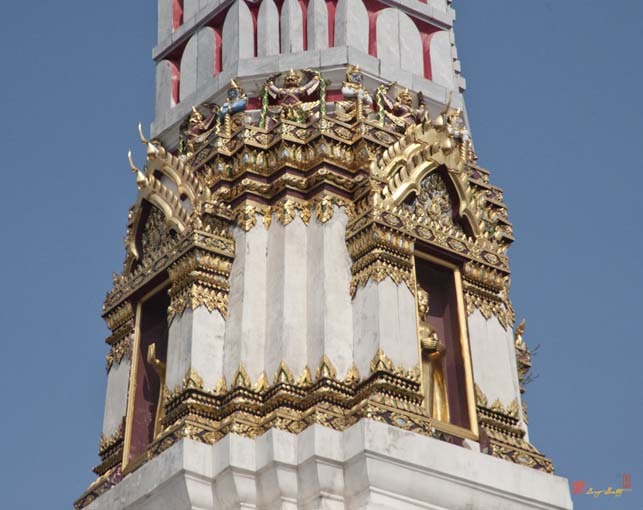 The restoration took six years to complete. 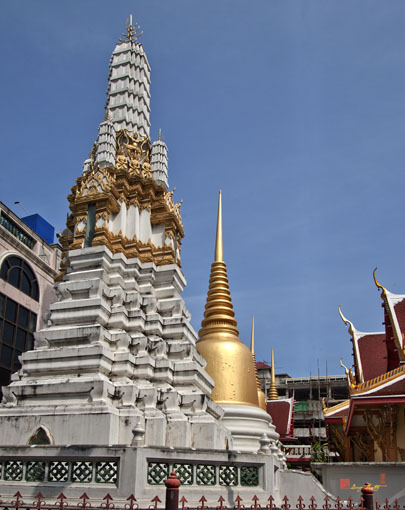 Monks from other temples were invited to live here and the temple was then presented to the King to make it a Royal Temple in 1825 (B.E. 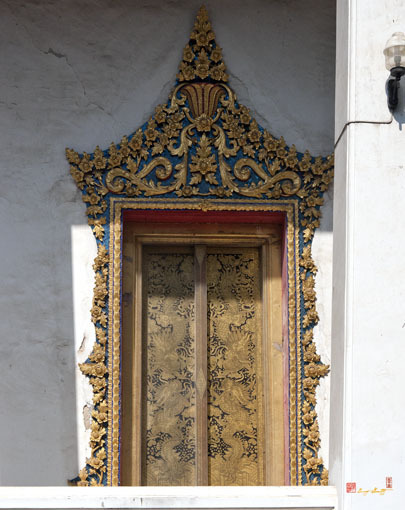 2368). 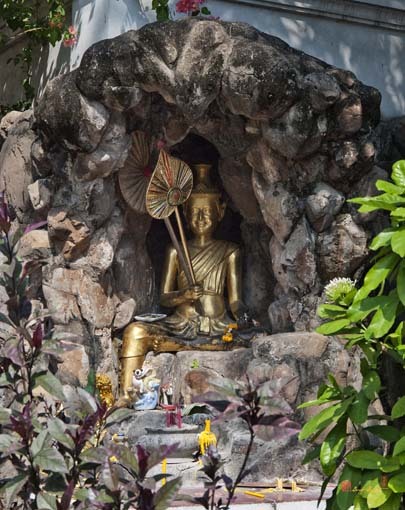 Later a Buddha image named Phrabang was installed in the Wihan. 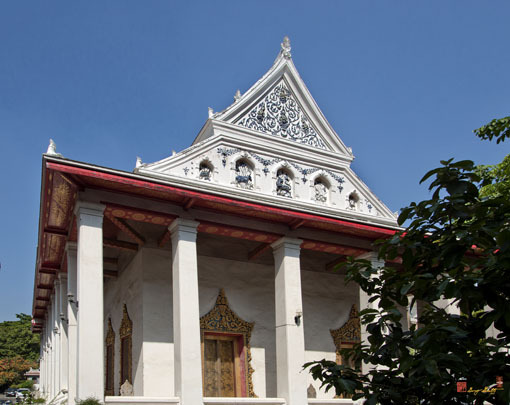 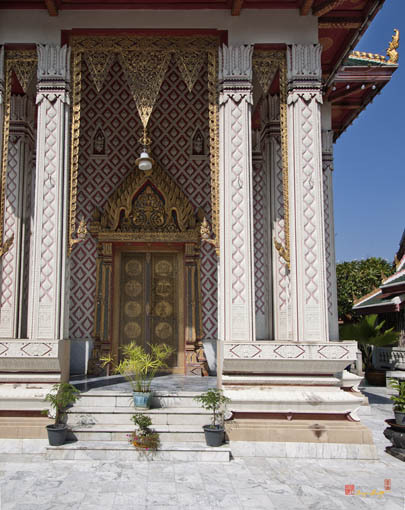 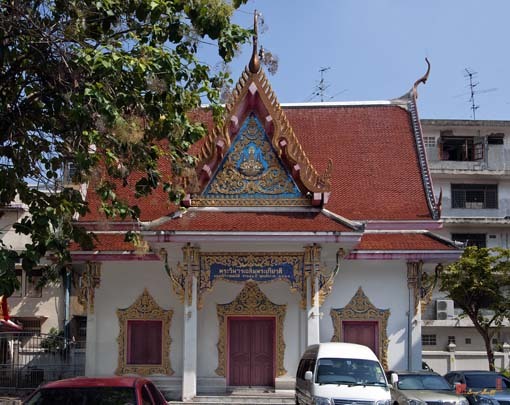 On his visit to the temple for the Royal Kathin Robe Ceremony (the merit making ceremony of presenting robes to the monks), King Rama III observed that the Wihan had a higher base than the Ubosot (Main Chapel). 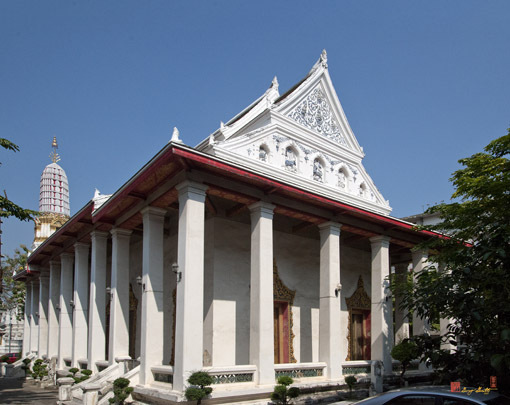 Chao Phraya Borodindecha then had a new Ubosot built and changed the old Ubosot to be the Wihan. 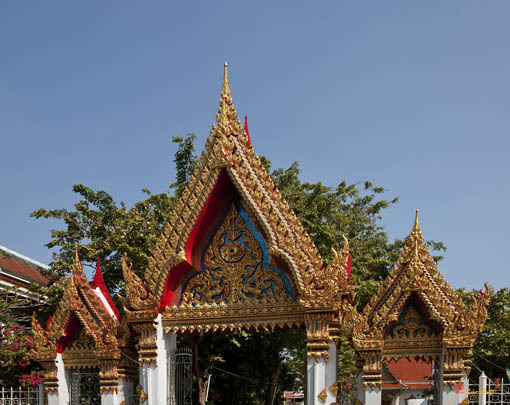 In the reign of King Rama IV, Phrabang was sent back to Luang Phrabang in Laos. 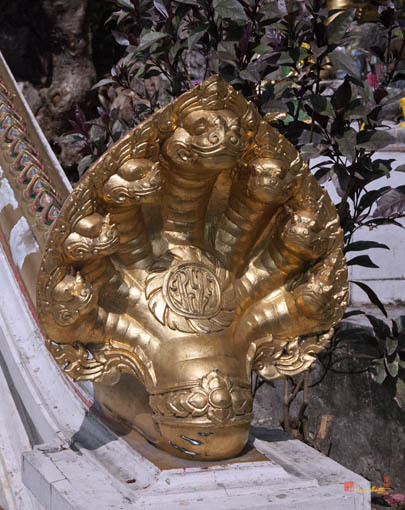 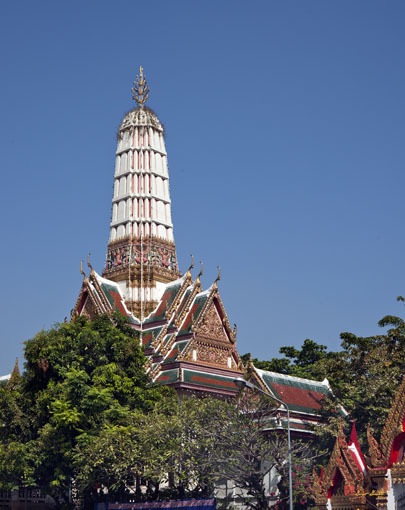 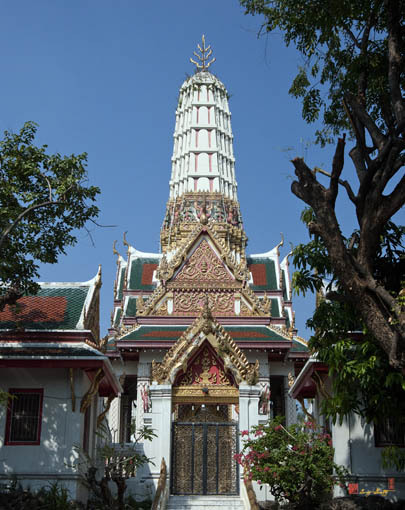 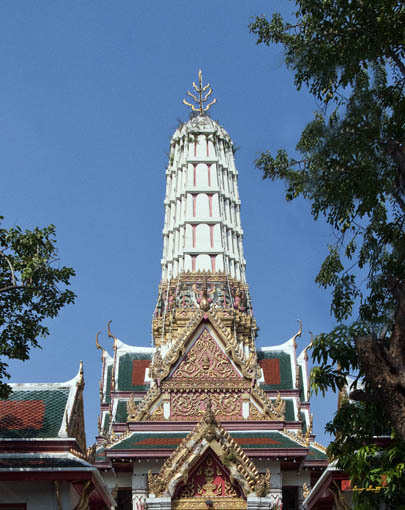 A Buddha image named Phranak was shifted from a Buddhist shrine inside the Grand Palace as a replacement.